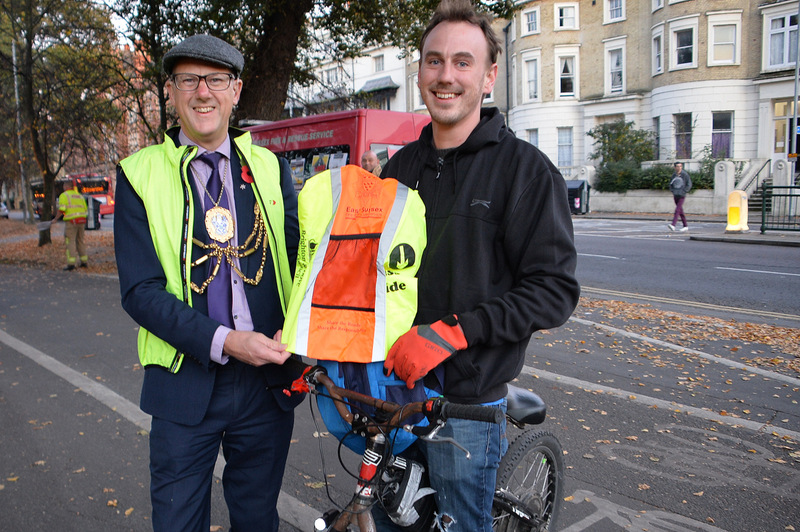 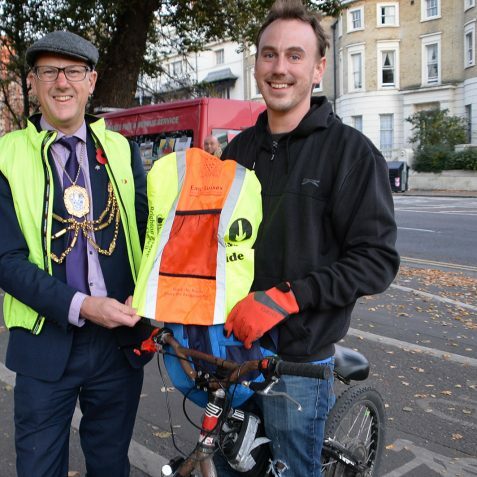 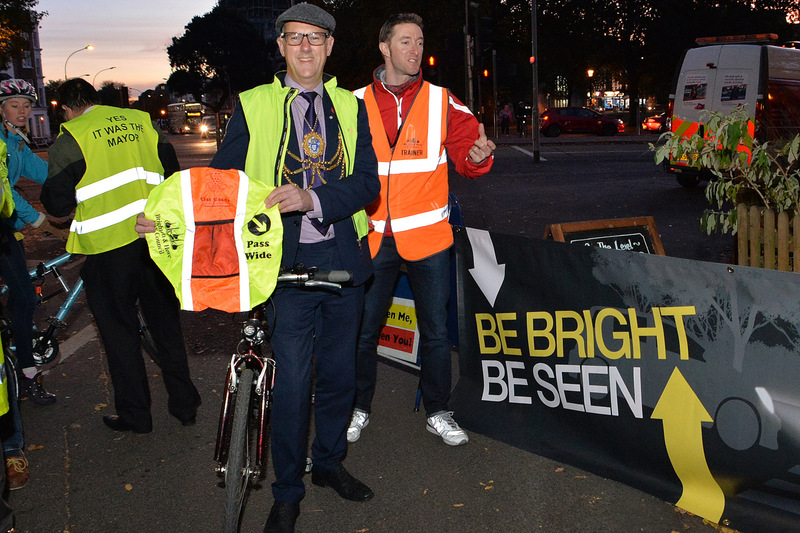 The Mayor of Brighton & Hove Councillor Pete West, recently took part in a Brighten Up Brighton & Hove event. 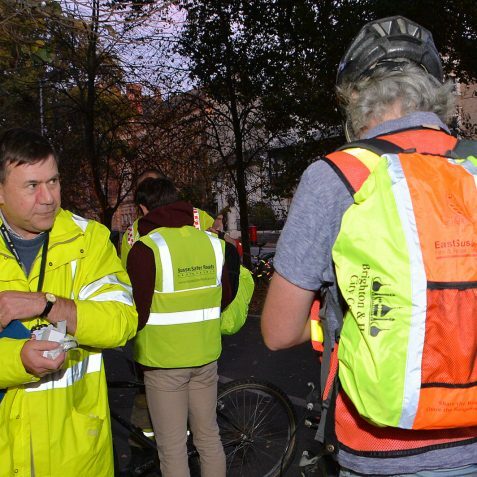 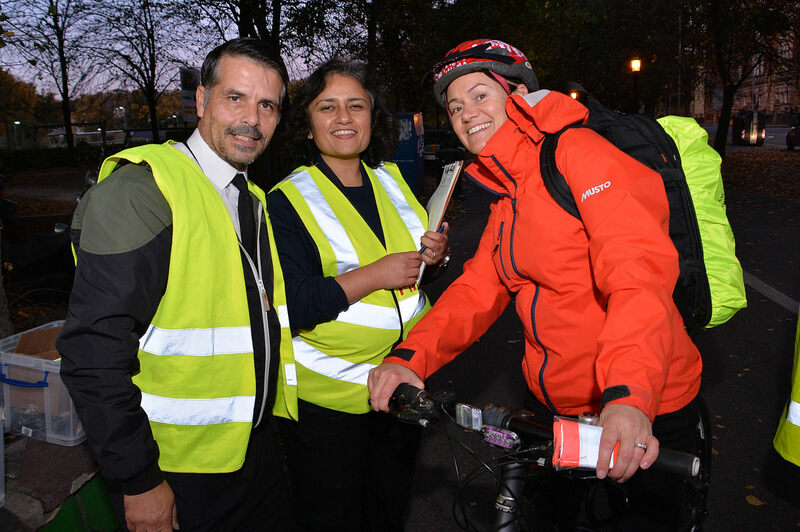 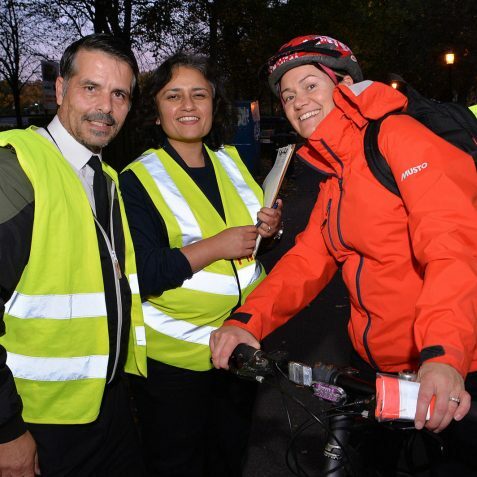 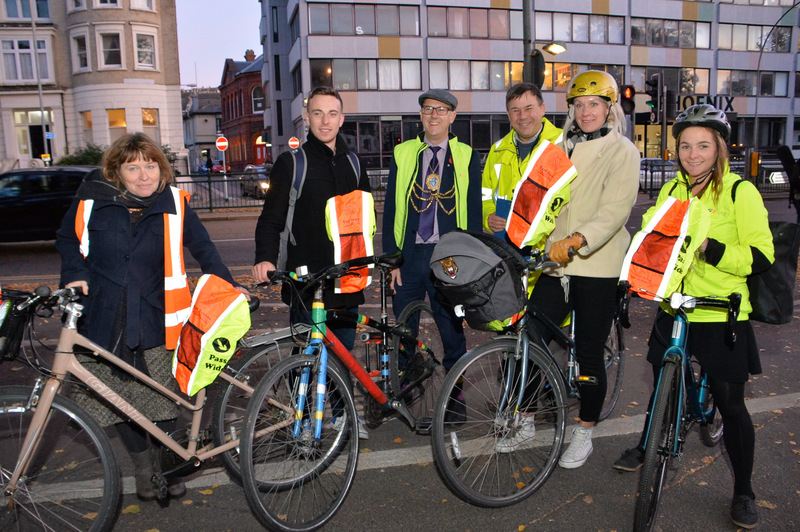 The event was designed to remind city cyclists of the importance of being visible and safe on the roads in the dark winter days. 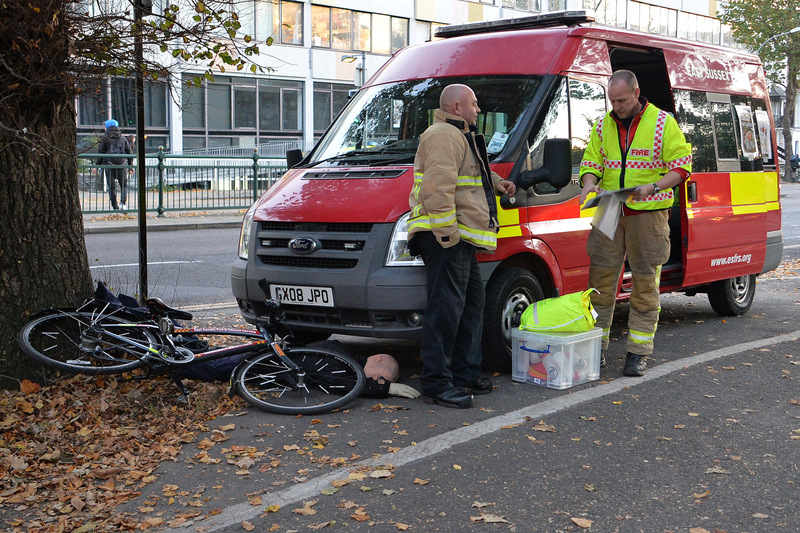 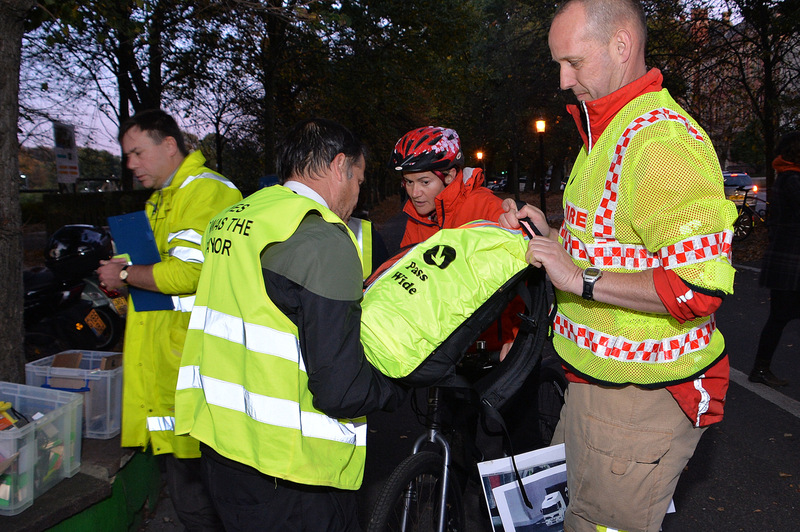 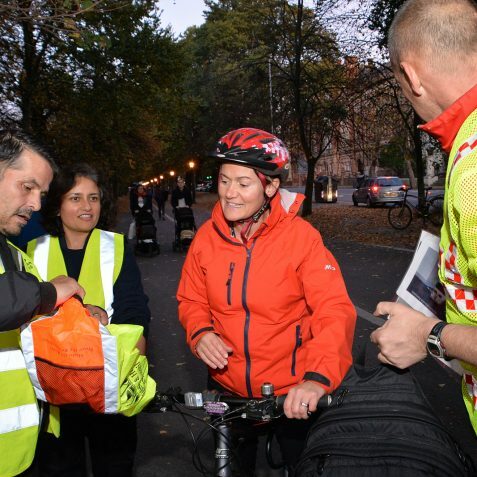 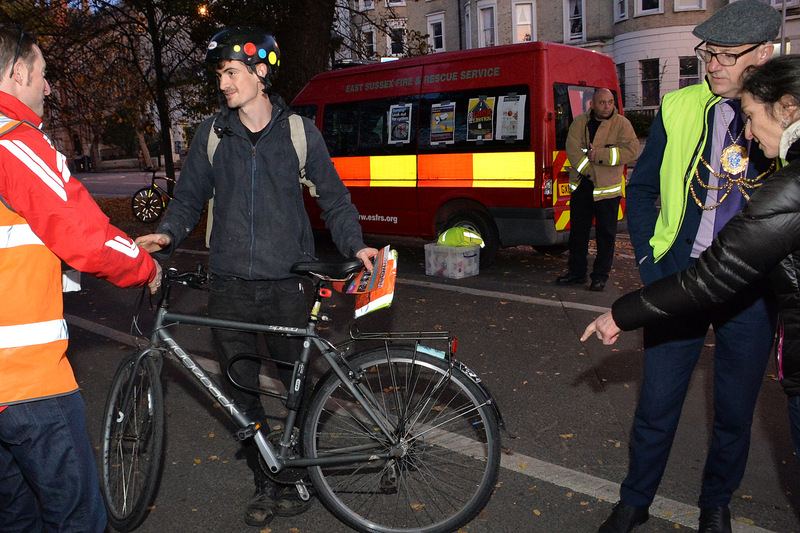 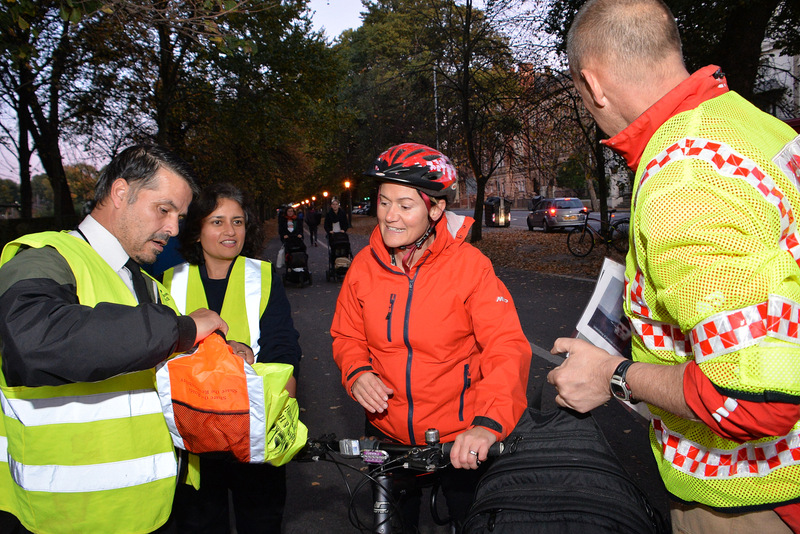 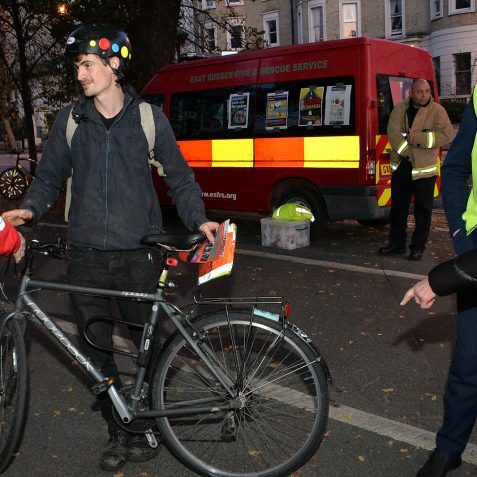 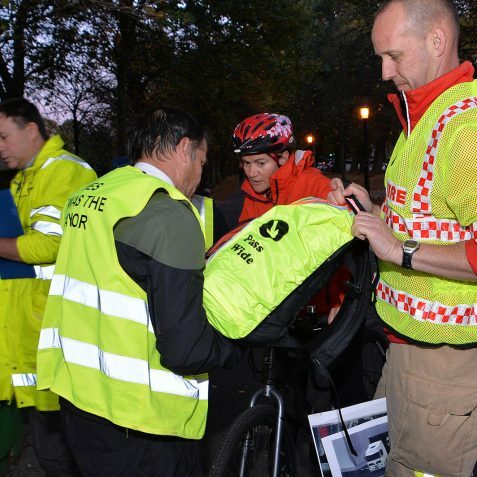 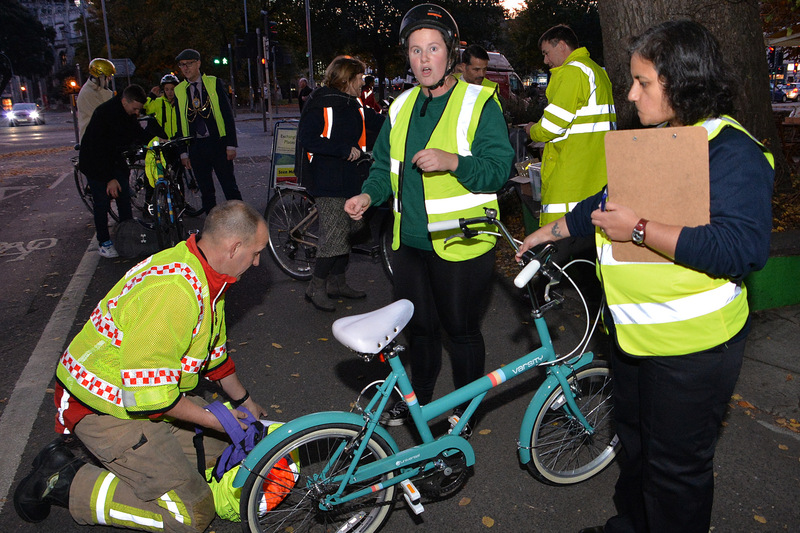 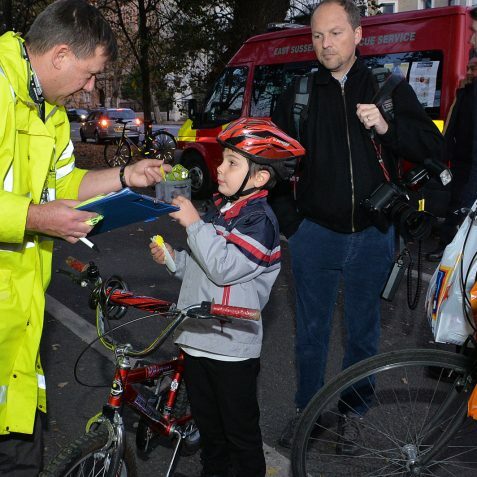 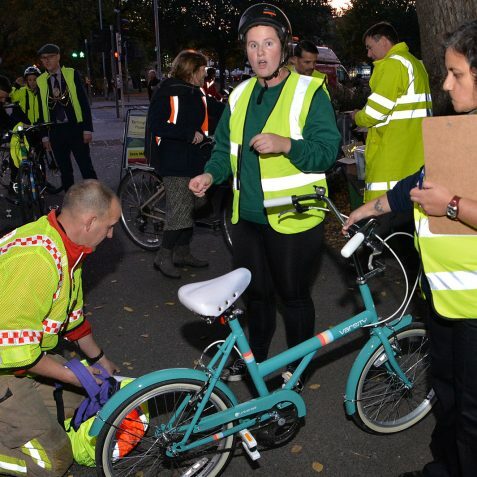 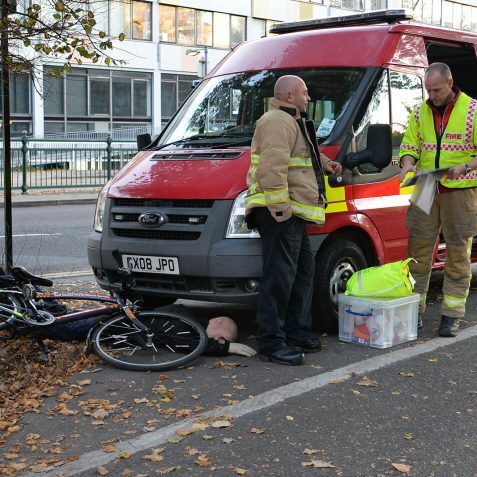 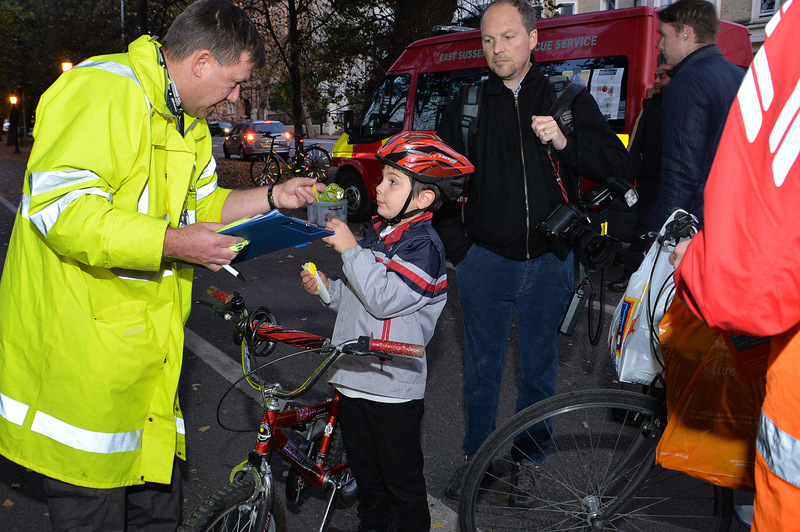 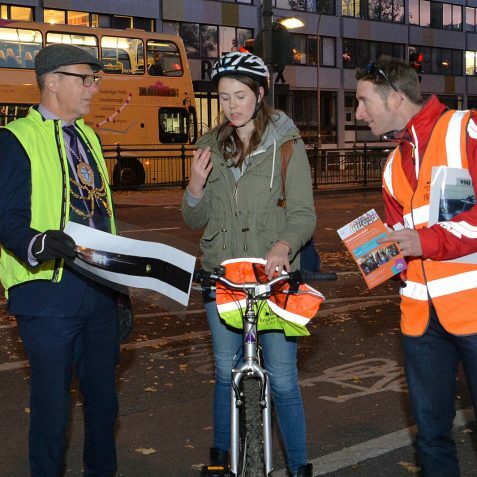 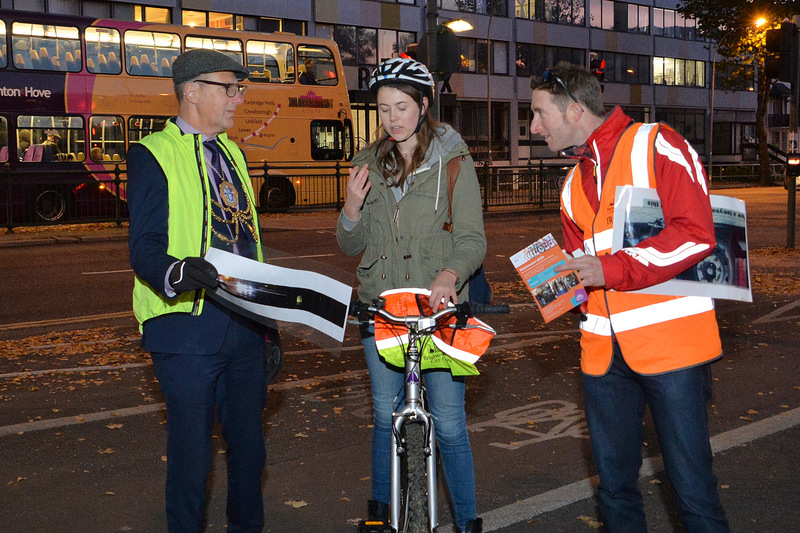 Trainers were on hand to give cyclists advice on road safety, and to hand out free visibility items. 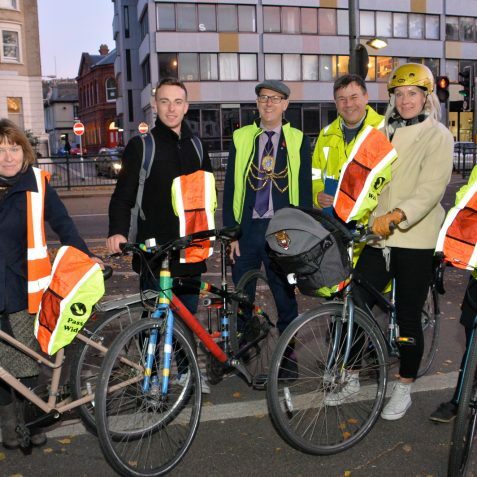 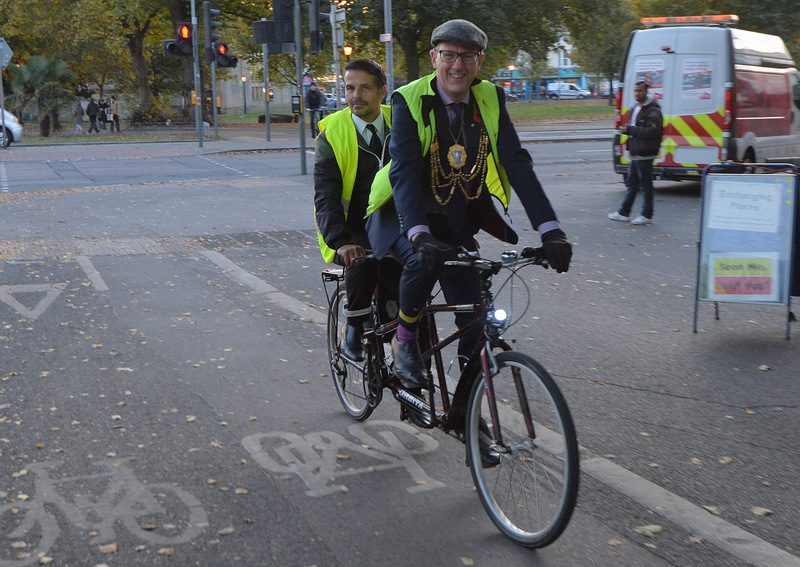 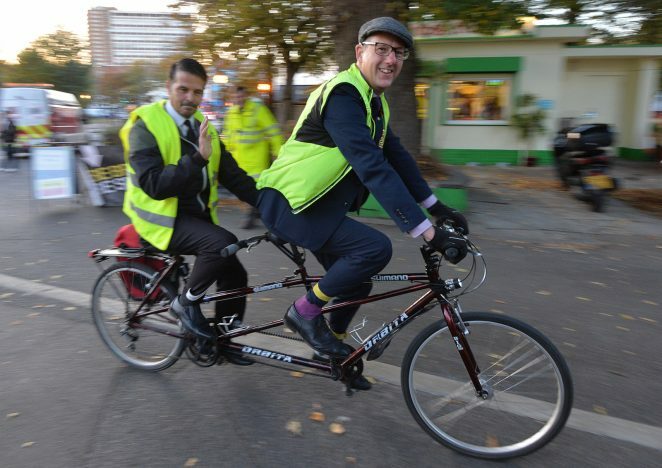 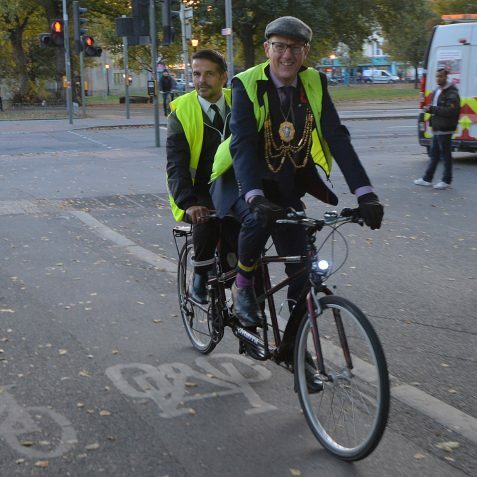 The Mayor, a keen cyclist himself, arrived on a tandem with his mace bearer, Robbie Robertson, giving a whole new aspect on the term ‘Get on your bike’. 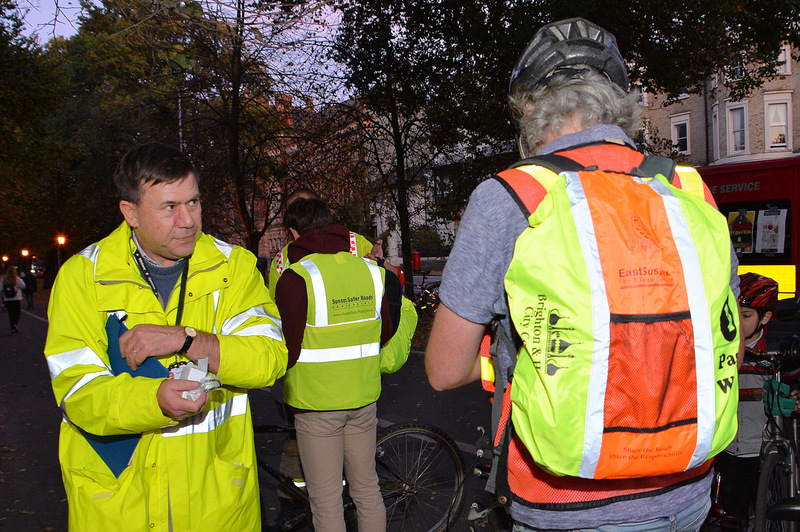 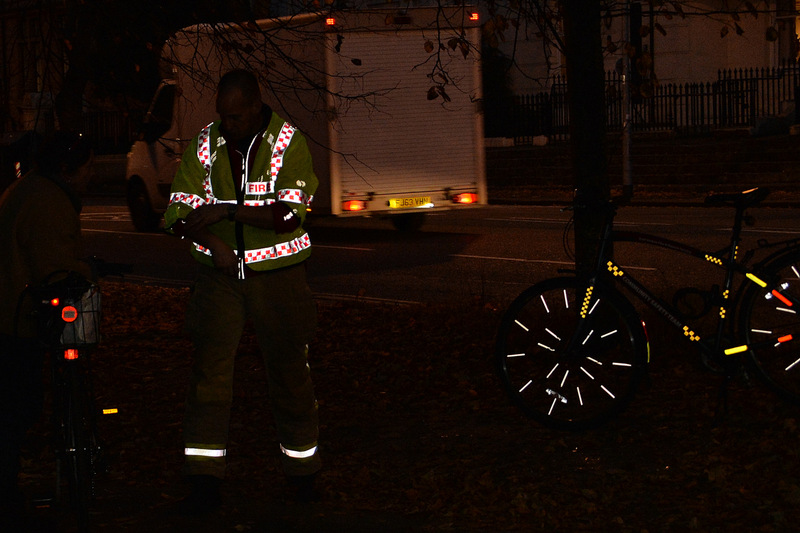 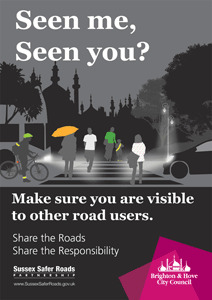 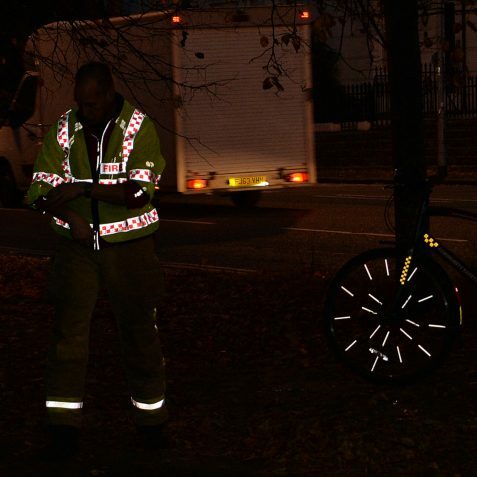 Being visible on dark days is very important as even fairly colourful clothing will appear grey at dusk and in darkness. 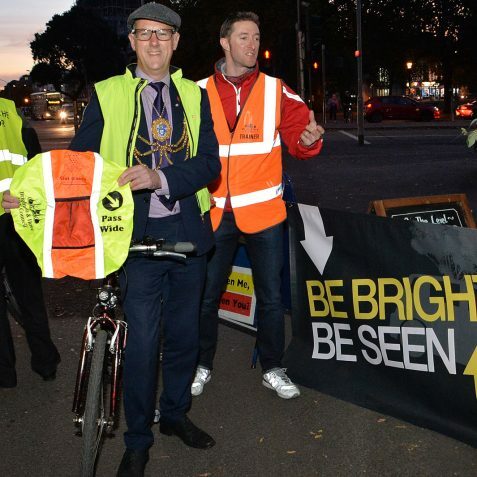 This is because our eye’s colour light receptors – cones – do not work in low light. 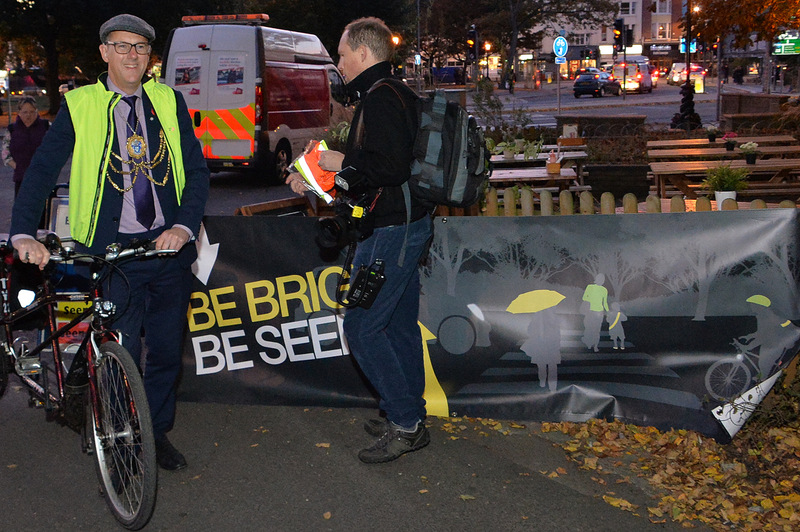 Instead, in low light the eye gets most information from black and white receptors called rods . 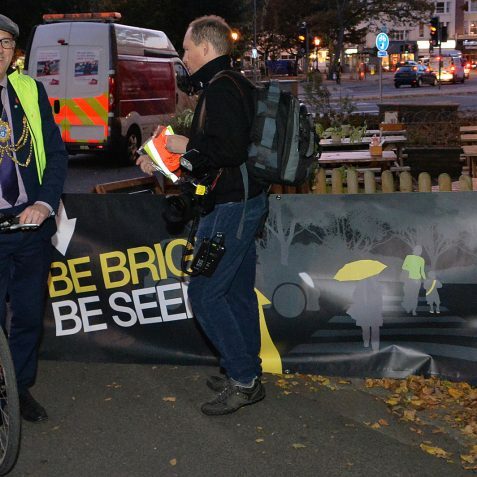 Everything is then a myriad shade of grey and does not stand out in street clutter.